I made this scarf to go with the Front Post Double Crochet Hat. The stitch pattern is easily memorized and is very simple to do. I have made several of these scarves to make sure that my instructions are correct. This stitch pattern uses a multiple of 10 + 1, + 3 for your turning chain. You only need to add the + 3 once. To make this scarf I used 31 stitches for the stitch pattern + 3 for my turning chain for a total of 34 chains. This pretty stitch pattern creates off set blocks with V stitches in between, making it light and lacy. Row 1 (right side) Dc in 4th ch from hook, *ch 3, skip 4 chains, (sc, ch 3, 3 dc) in next chain space, skip 4**; V-st in next chain. Repeat from * across, ending last repeat at **; dc in last 2 ch spaces, ch 3 (counts as dc on following row), turn. Row 2 Dc in first dc, *ch 3, (sc, ch 3, 3 dc) in next ch 3 space**. V-st in ch 1 space of next v-st, repeat from * across, ending last repeat at **. 2 dc in 3rd chain of turning chain, ch 3, turn. Repeat row 2 for pattern. Continue working in pattern until your scarf is desired length. For fringe - cut 8 inch lengths on yarn, fold in half and loop through opposite side of beginning chain and in each stitch across last completed pattern row. Help! Several of us are trying to make the Rose Camo Skinny Scarf put it's not coming out looking like yours. Were there any corrections to pattern? Suggestions? It's such a pretty scarf. Did you send the photos in a file from acurran@upstream.? Wanted to make sure before I opened it. Thank you for your help! Can't wait to make the scarf. Thanks! I'm sure this and the pictures will help. I started a berry stitch washcloth, too. Love it! I didn't send you any pics. I'm glad you like the berry stitch block too. 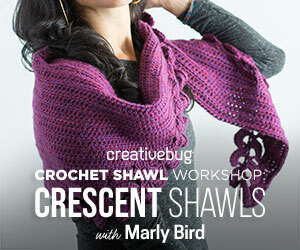 I am emailing you a pic of the skinny scarf and will also be adding it to the patterns page. I hope that the pic helps. Kim I sent you an email. I sent it from homemadehats121@gmail.com. It may go to your spam folder. I included a pic. Thank you again. Okay here's a picture of what I'm doing, what am I doing wrong? It just doesn't look right.